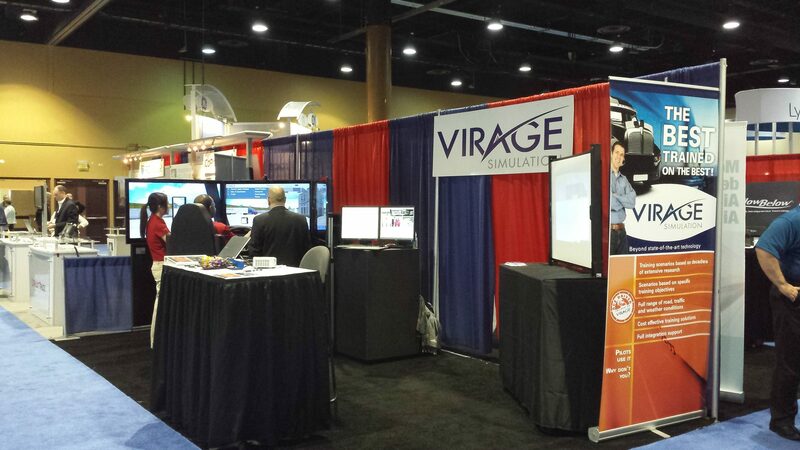 Montreal, 10 March 2015 – Virage Simulation presents its new Driver Tracking System™ at the TCA 2015 Conference in Kissimmee, Florida. Virage Simulation Inc., a Canadian leader in car and truck driving simulator products, services and turnkey-training solutions, presented its VS600M truck driving simulator system and demonstrated a large variety of training programs dedicated to training carrier drivers at the Truckload Carriers Association (TCA) 2015 Annual Convention from March 8-10, 2015 in Kissimmee, Florida. The TCA Annual Convention brings together carriers and industry suppliers from across North America for three days of informative general sessions and timely workshops focused on the issues that most concern truckload carriers. One of the TCA mandates is to develop solutions in the area of driver training. Virage Simulation exhibited its latest version of the VS600M truck driving simulator technology, its Fuel-Efficiency ECO-Drive™ training program and demonstrated its new Driver Tracking System™. The VS600M truck driving simulator system is specifically designed for training centers, fleet driver training and driver evaluations and is one of the most advanced truck driving simulators on the market. During the demonstrations of the Fuel-Efficiency training program, visitors had the opportunity to compete against the simulator and their colleagues. Research indicates a difference of up to 35% in fuel efficiency between the best and worst drivers in an average fleet. Research also indicates that driver fuel efficiency improves in the range of 5% to 20% following training. With rising fuel costs, the potential return on investment for a fleet-wide Fuel-Efficiency training program is definitely worth considering. Virage Simulation also demonstrated its new Driver Tracking System™, an easy to use web based system designed to track driver training progress. Comprehensive reporting of all stages of the training program allows instructors and fleet managers to review and compare individual driver and group performance. Click to read more about Virage Simulation’s truck driving simulation system and training programs.